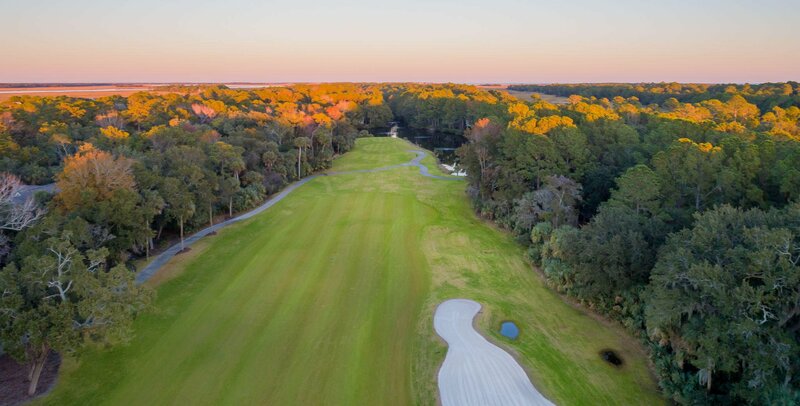 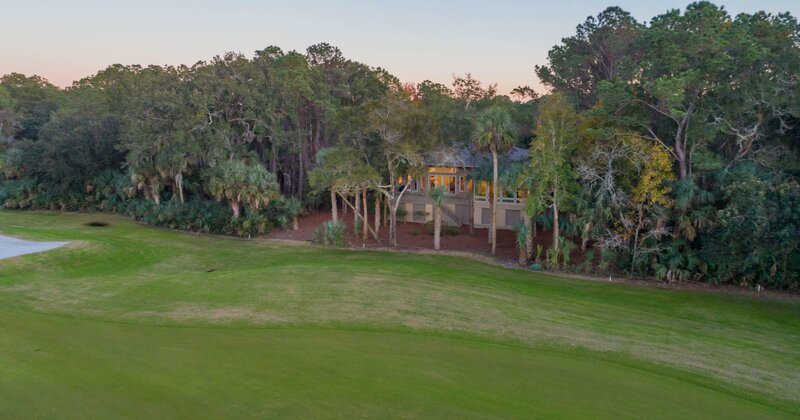 A Kiawah Island Club Sports Membership Opportunity accompanies this Wayne Windham designed and Osprey Construction built home. 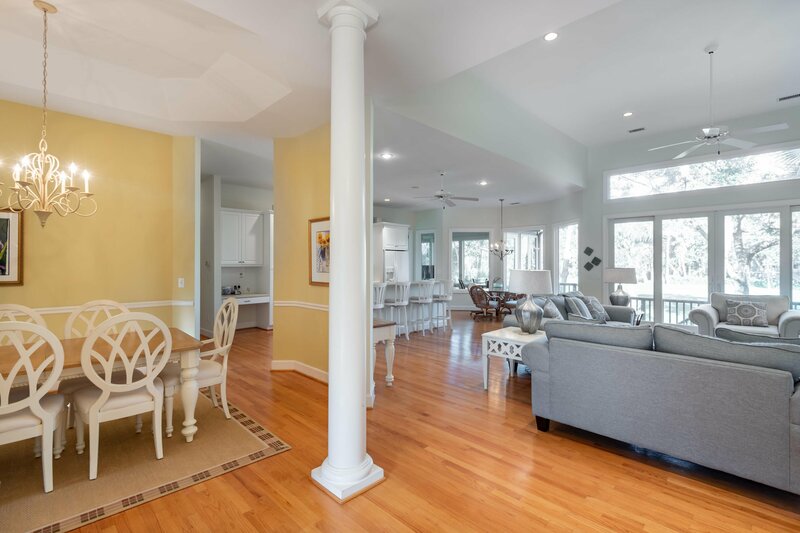 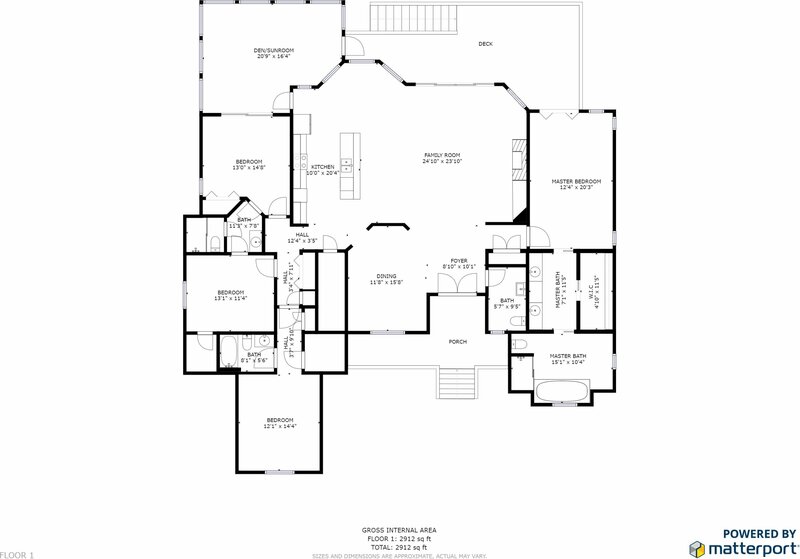 298 Marsh Cove Road offers a simple, yet elegant, one-story floor plan with 3,010 feet of living space, four bedrooms, and three and a half baths. 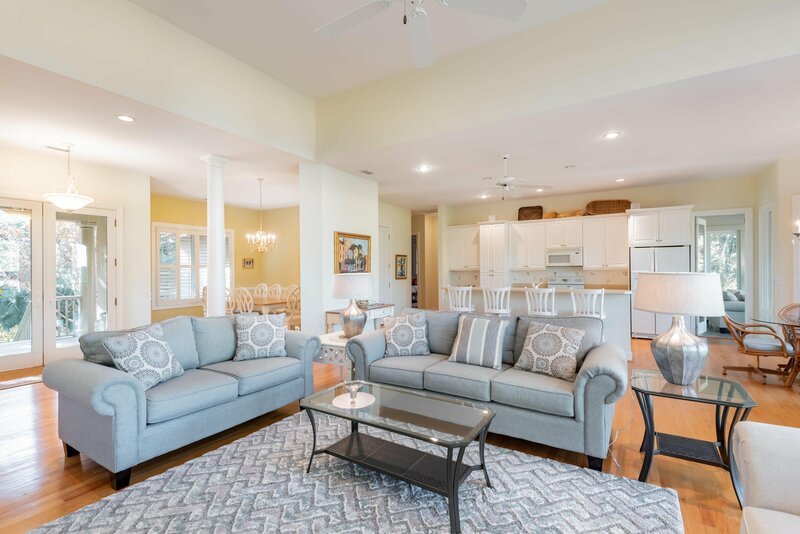 The home's design and open layout allow for easy entertaining and a low-maintenance lifestyle, ideal for a vacation getaway or permanent residence. 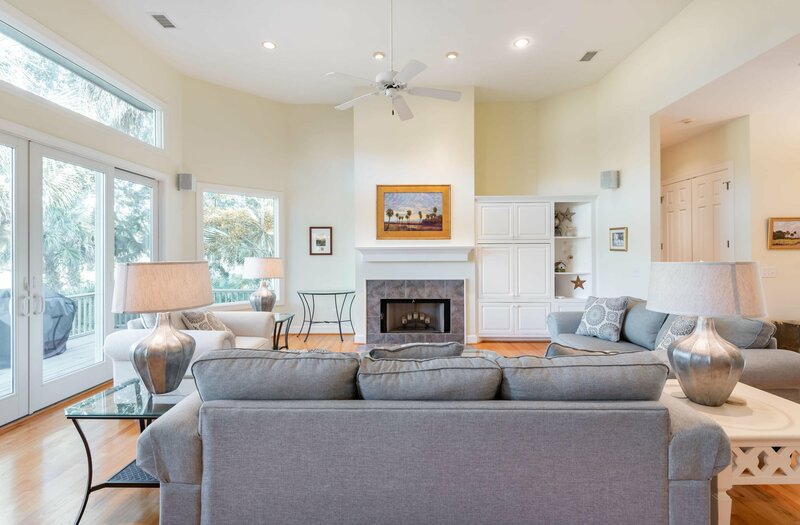 Double glass front doors open to an expansive great room with high ceilings and a wall of windows that allow bright, natural light to flow into the inviting space. 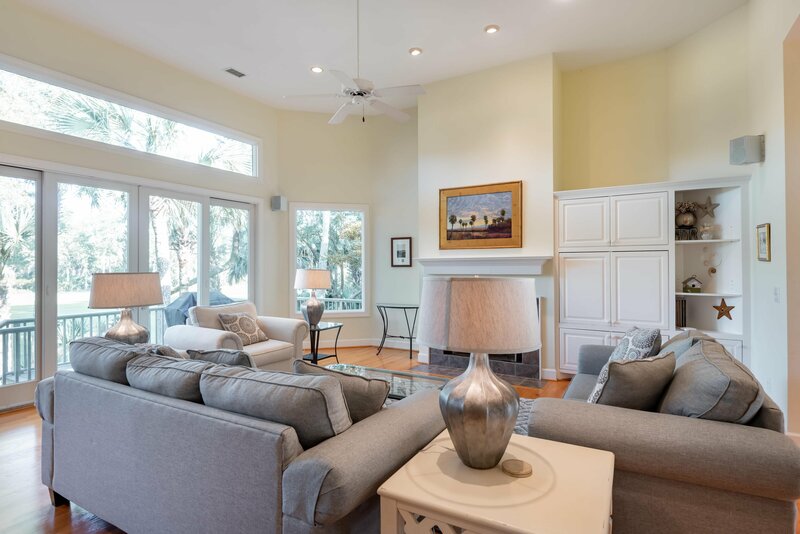 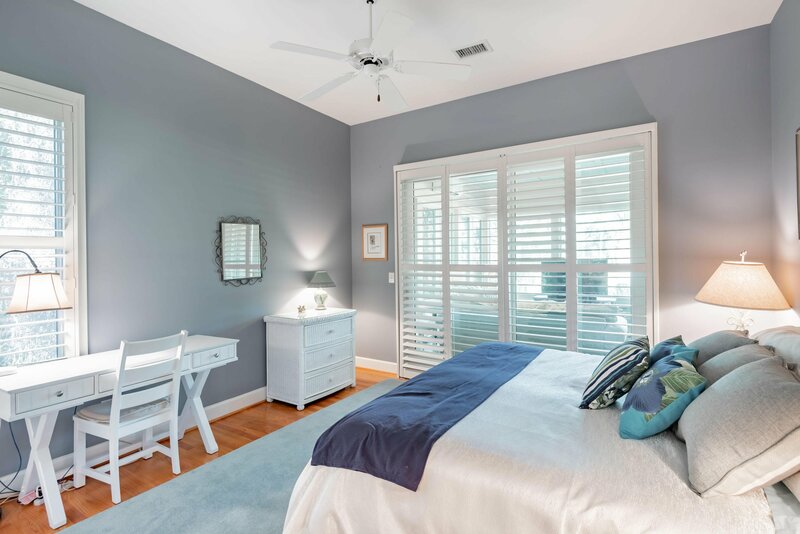 High quality details and finishes in the residence include hardwood floors throughout, a granite-surround fireplace in the living room, decorative columns, and plantation shutters. 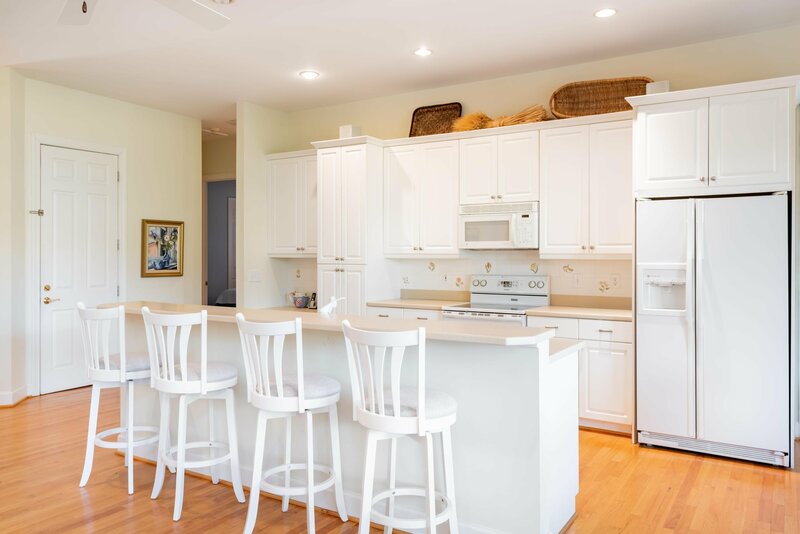 The living room flows seamlessly into the kitchen, facilitating conversation between host and guests, and integrating meal prep with activities taking place nearby. 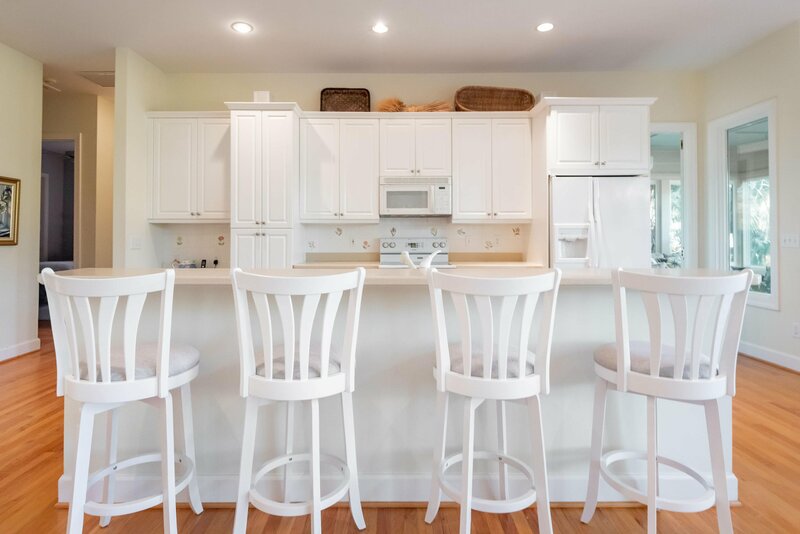 A one-wall layout with cabinets fixed on a single wall provides an attractive and efficient kitchen design. 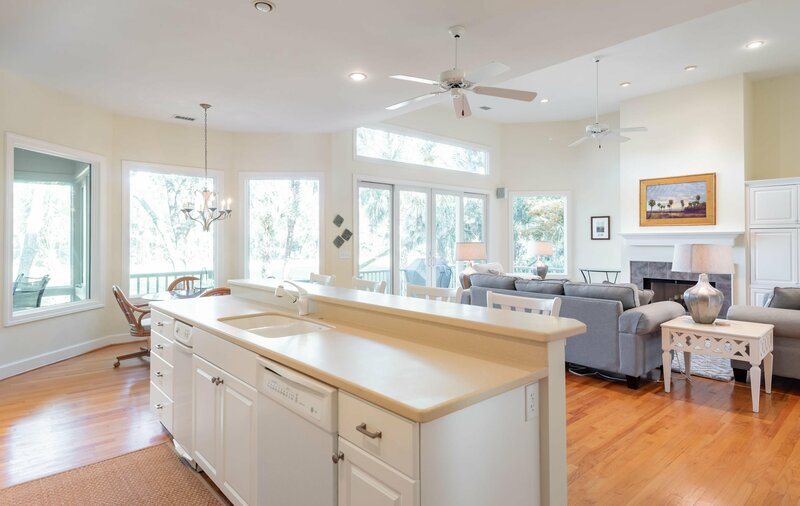 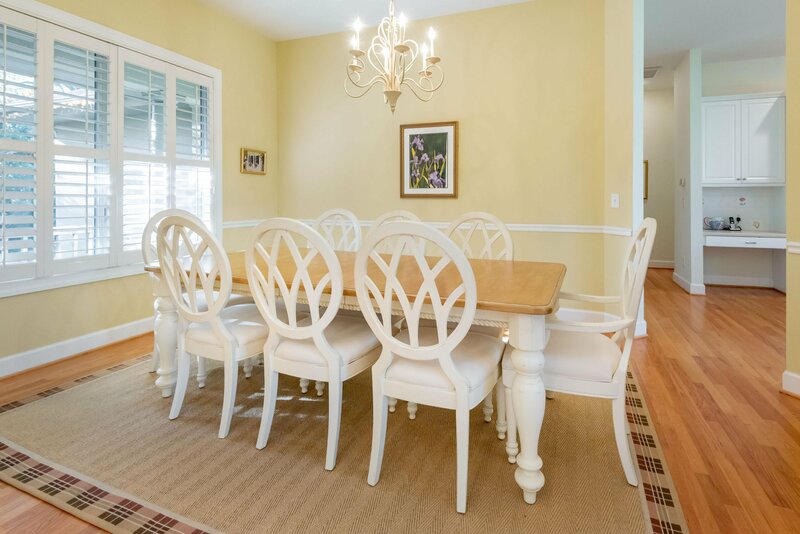 Plus a center island with bar seating, a breakfast nook, and adjacent formal dining room offer multiple spaces for enjoying meals. 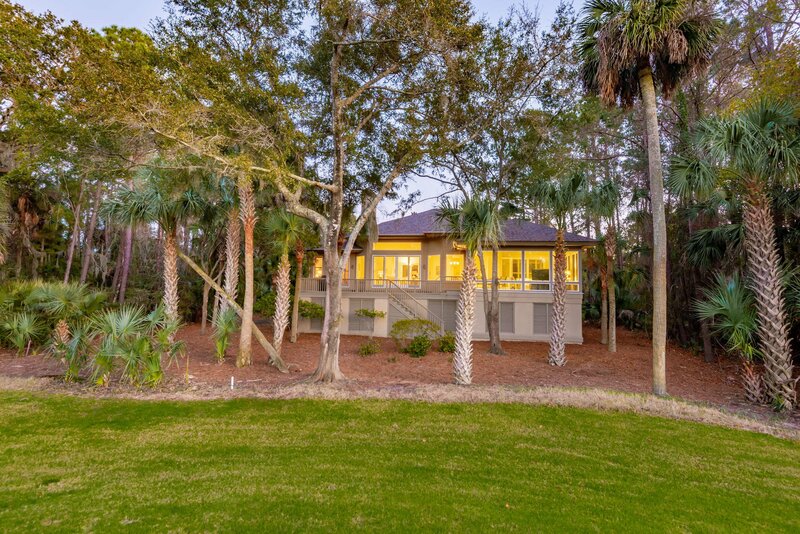 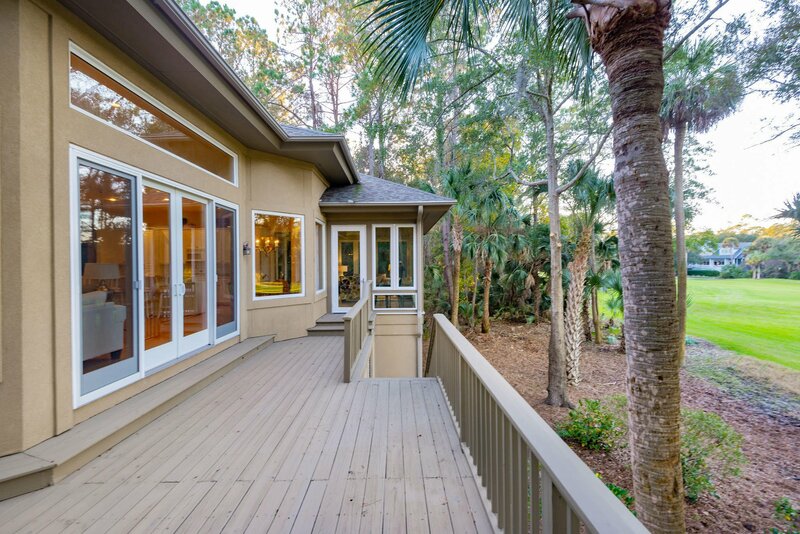 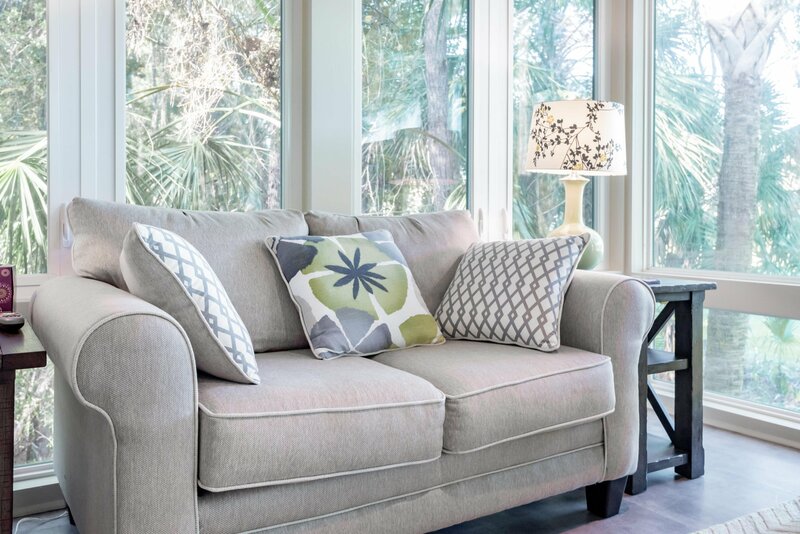 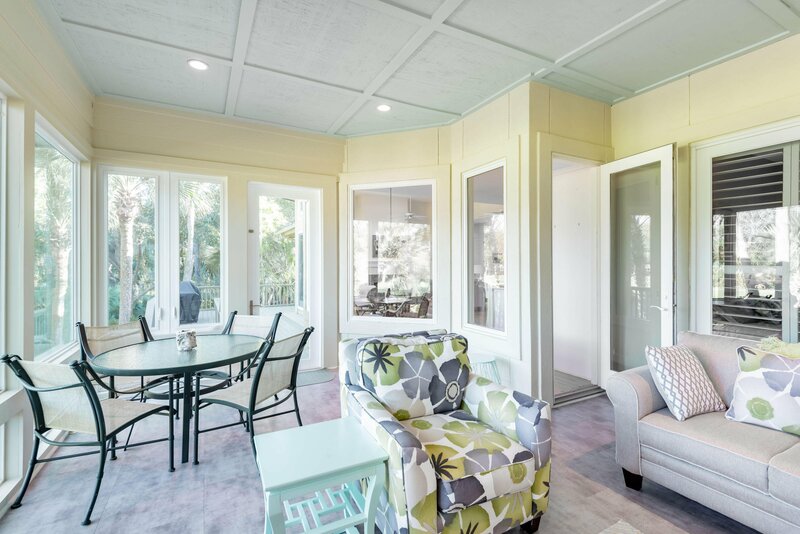 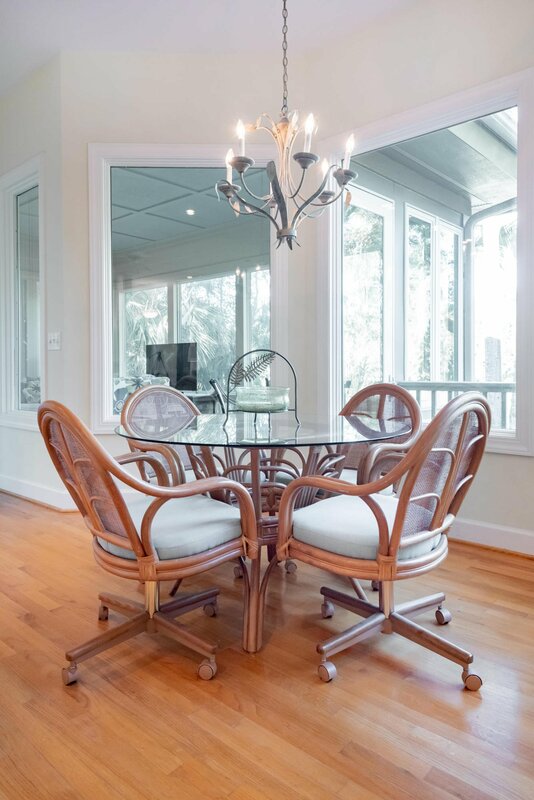 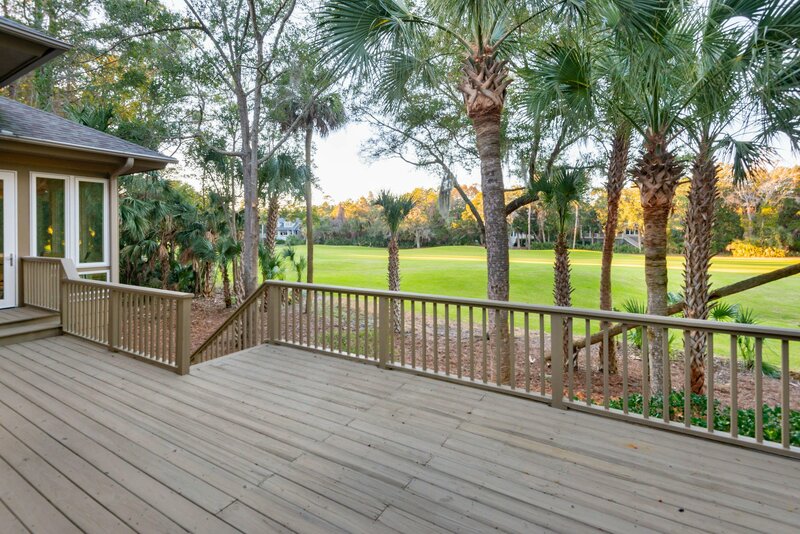 The new sunroom is a natural retreat with peaceful views of Osprey Point's 4th fairway and frequent glimpses of Kiawah's abundant wildlife. 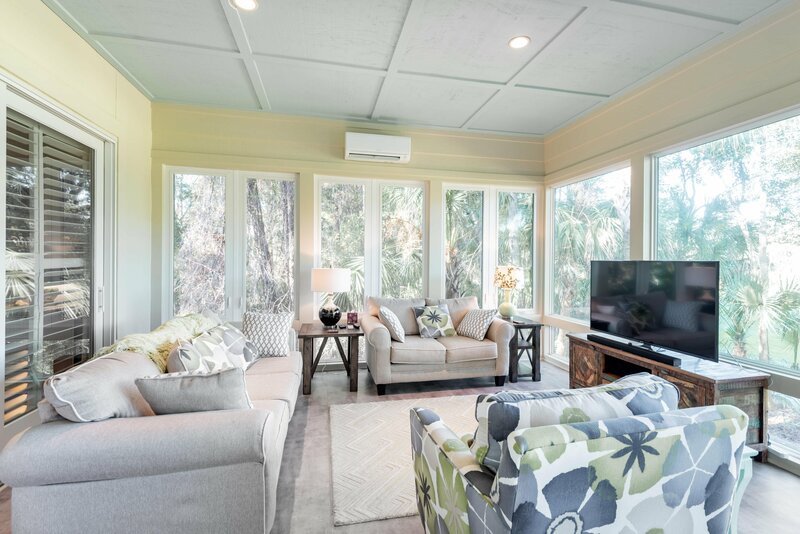 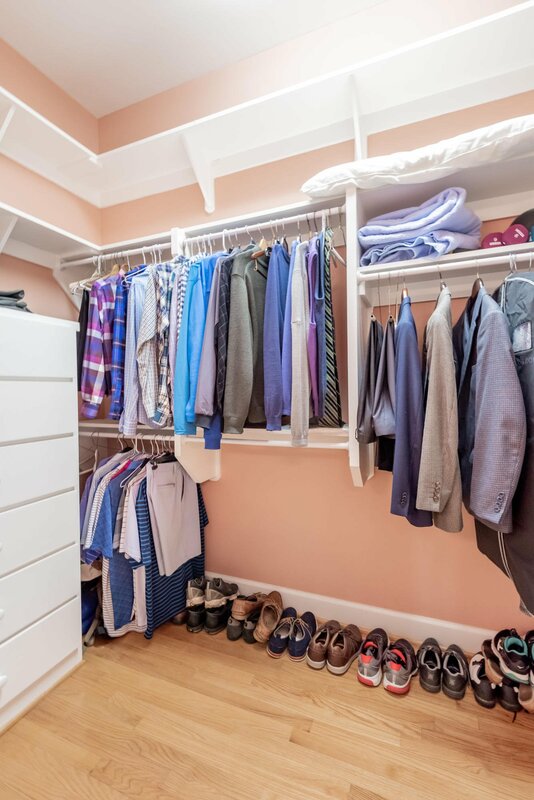 Outfitted with a separate heating and cooling system, this room can be enjoyed year-round. 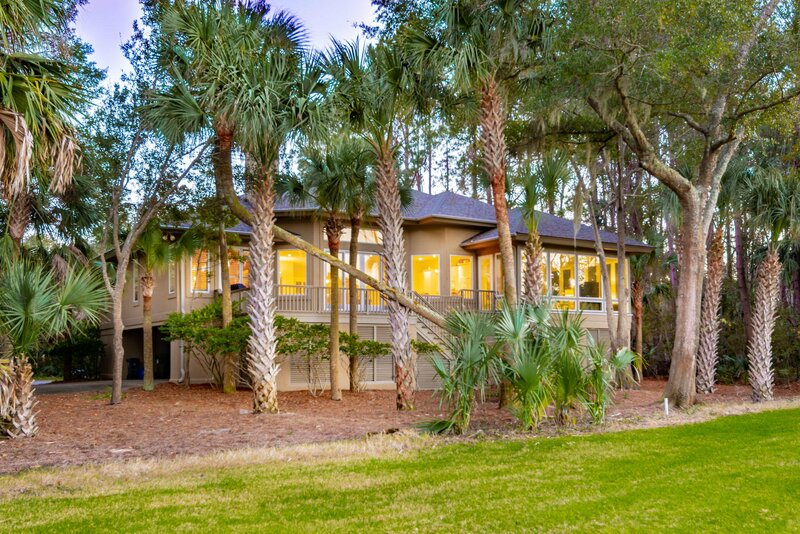 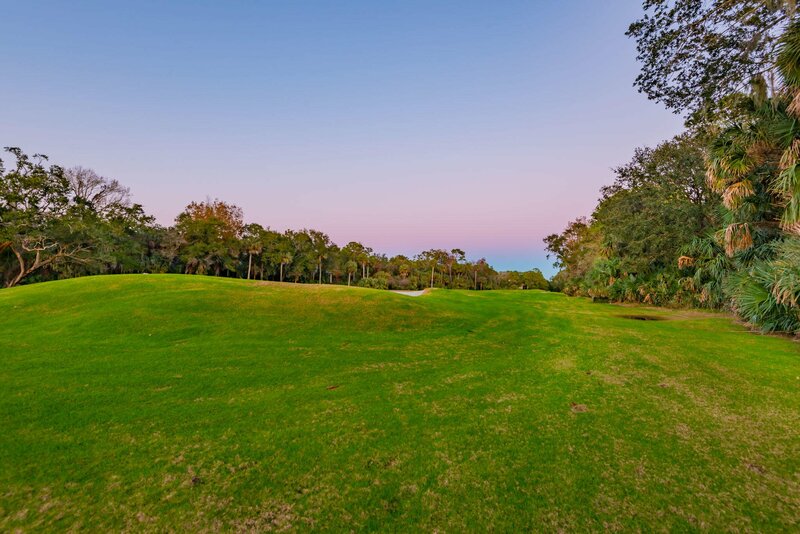 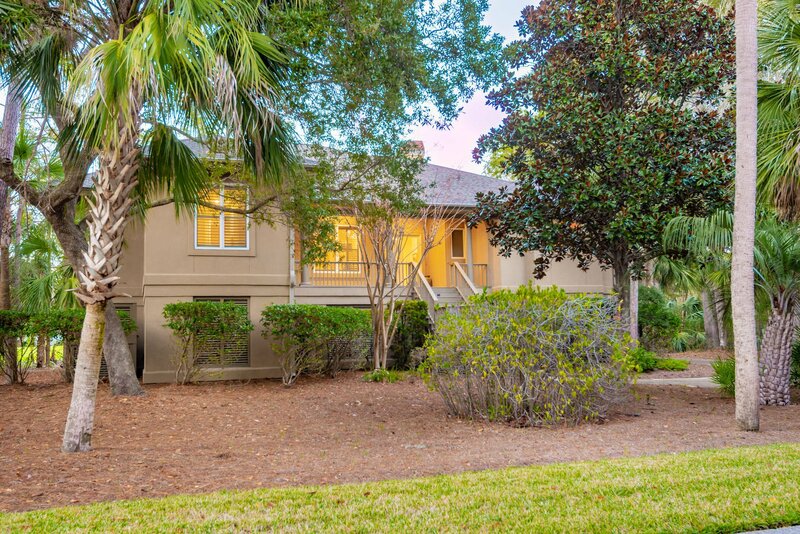 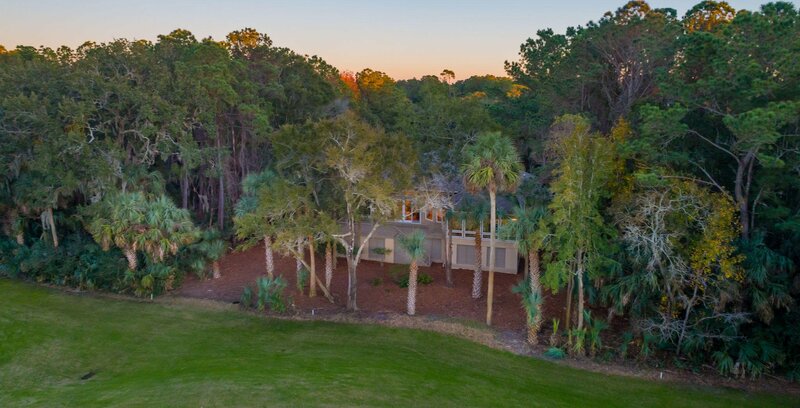 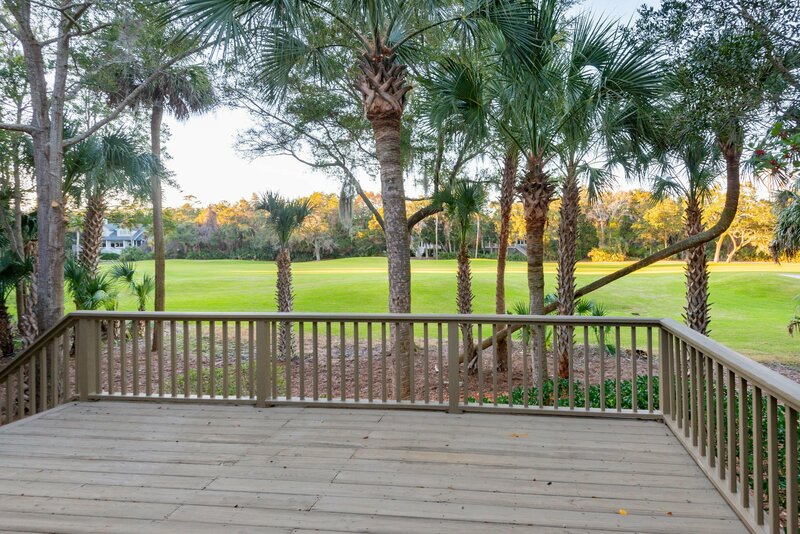 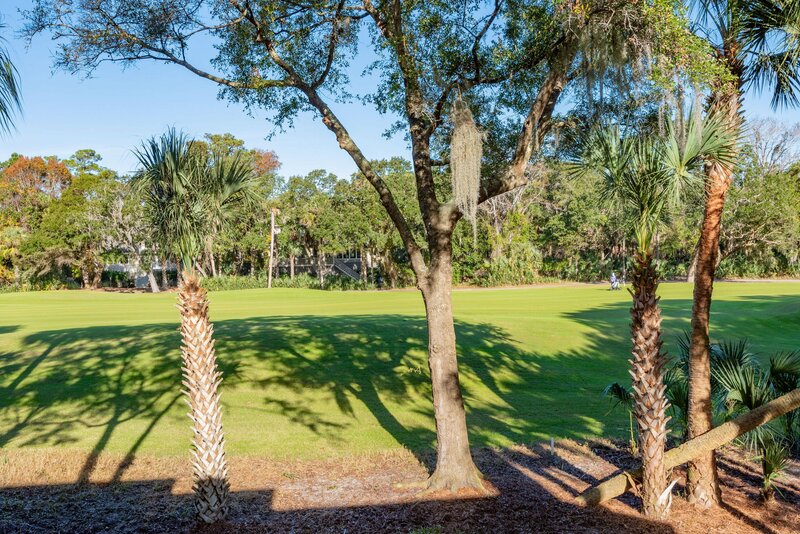 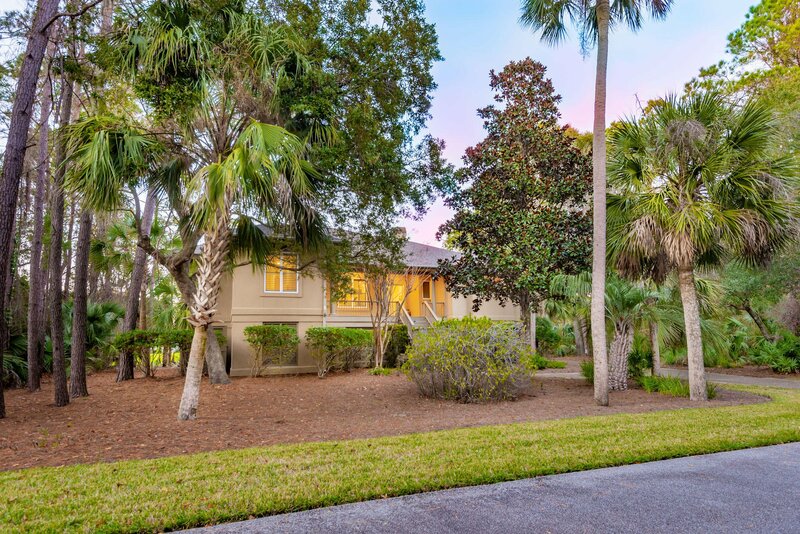 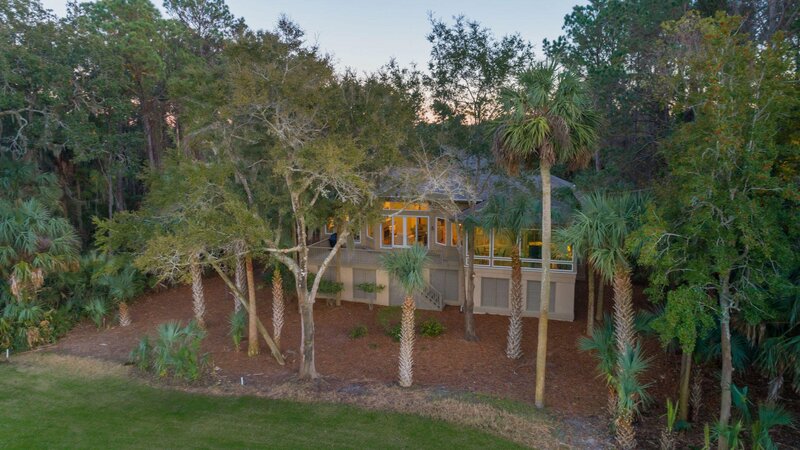 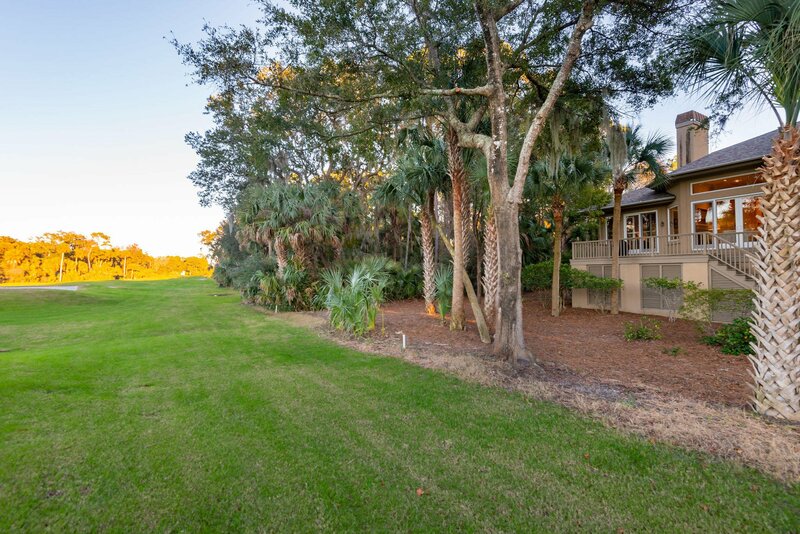 Also, access to a wide back deck offers exquisite, 180-degree views of the meticulously maintained Osprey Point Golf Course. 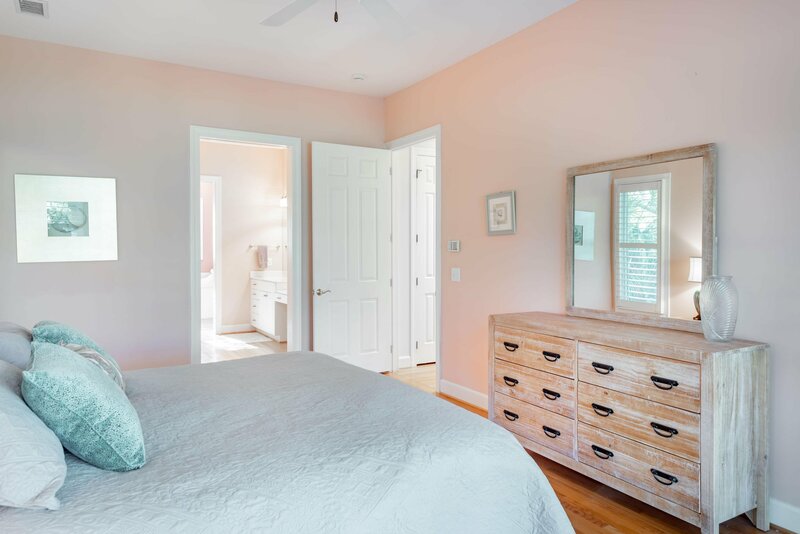 The master suite is situated on one side of the residence, away from the rest of the bedrooms and allowing for extra privacy for homeowners. 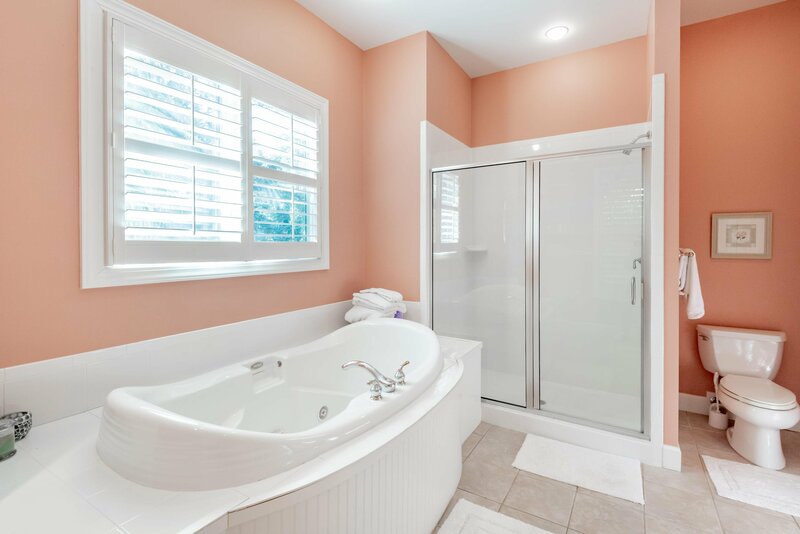 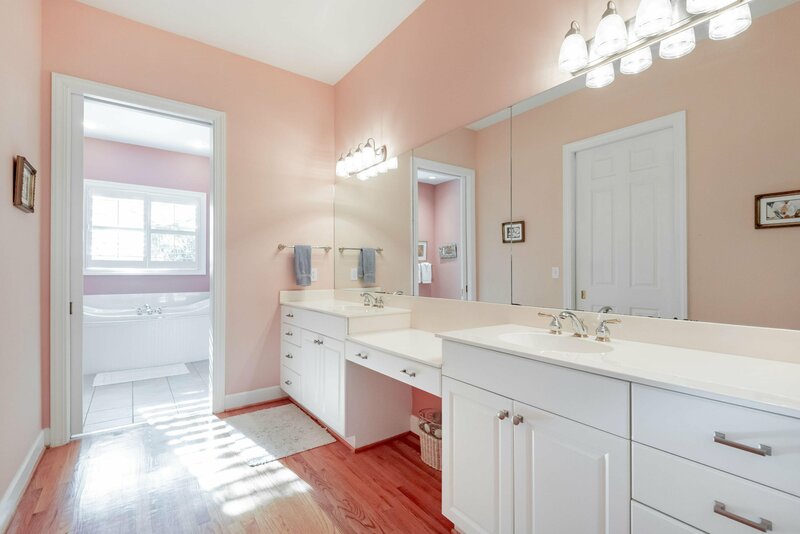 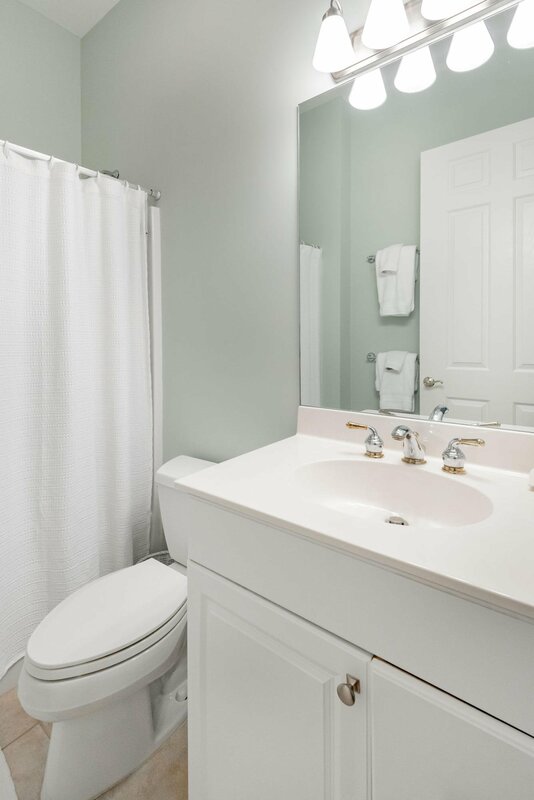 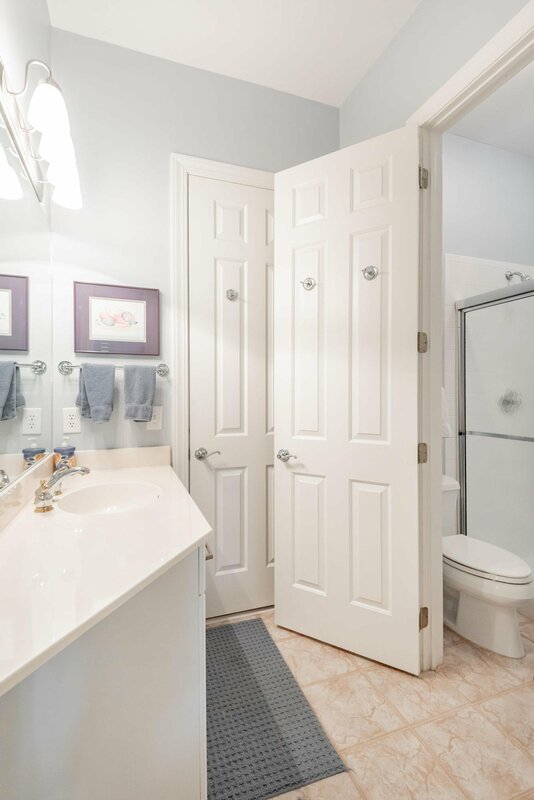 The master bath has a large walk-in closet, dual vanity sinks, standalone tub, and separate shower. 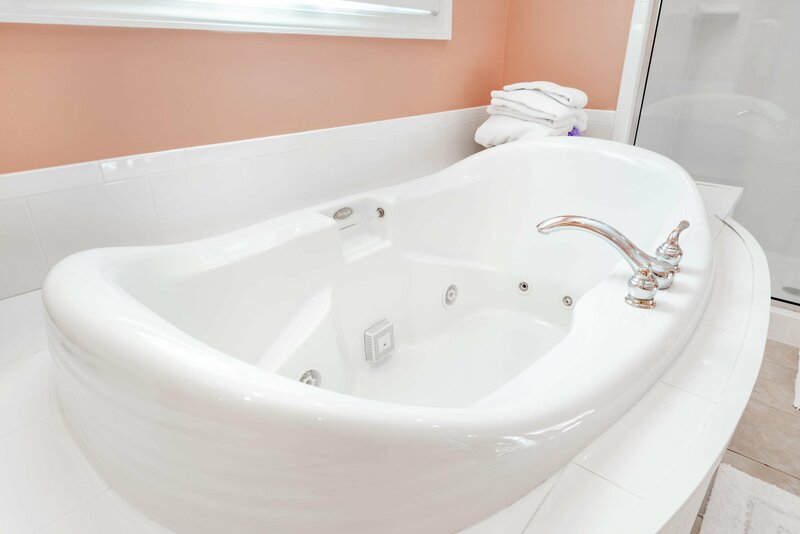 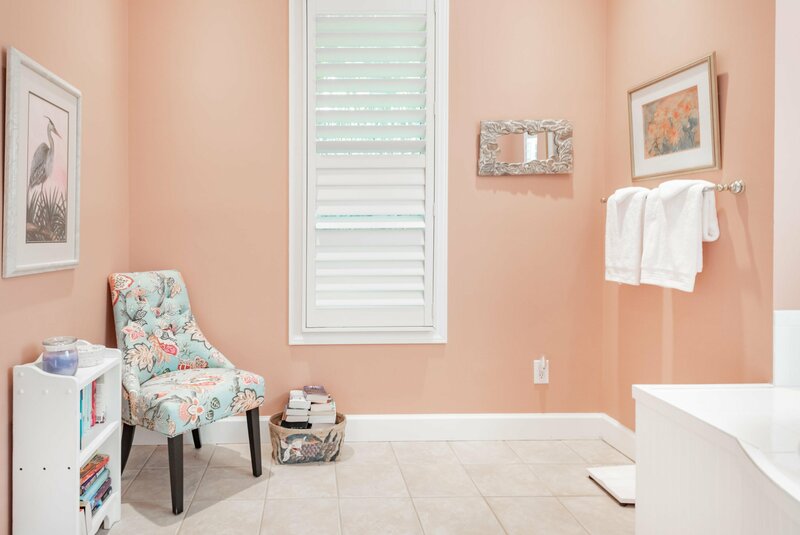 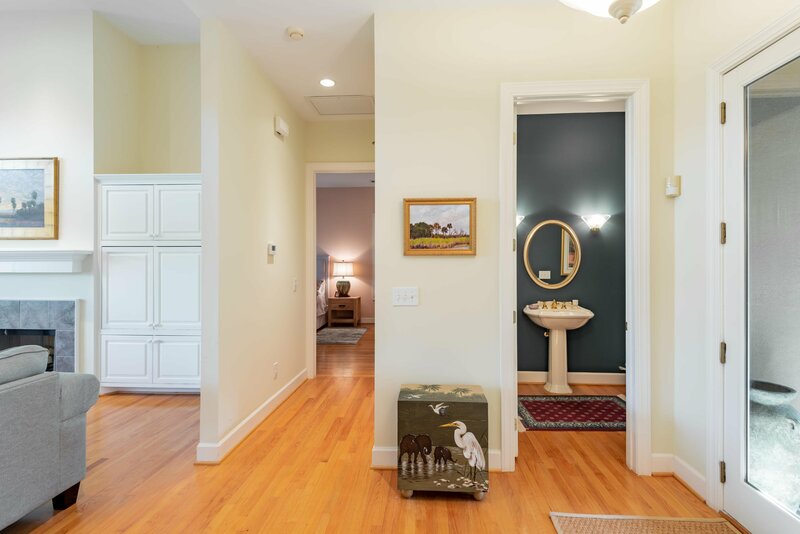 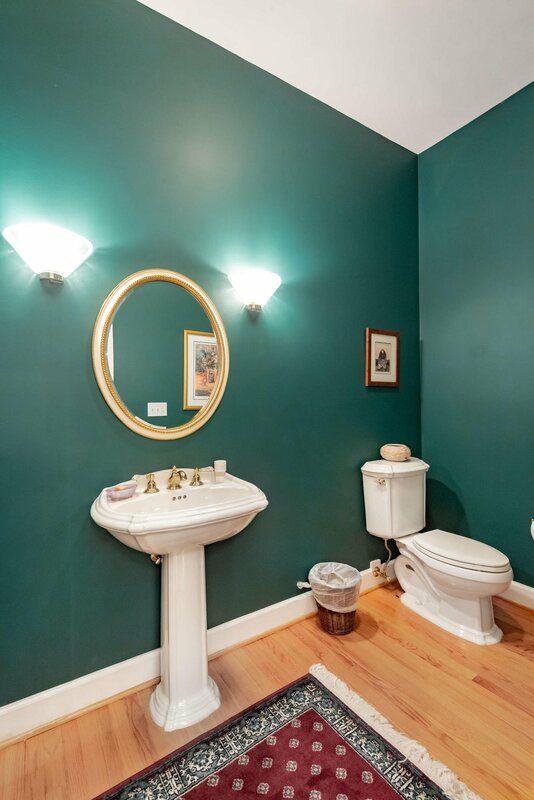 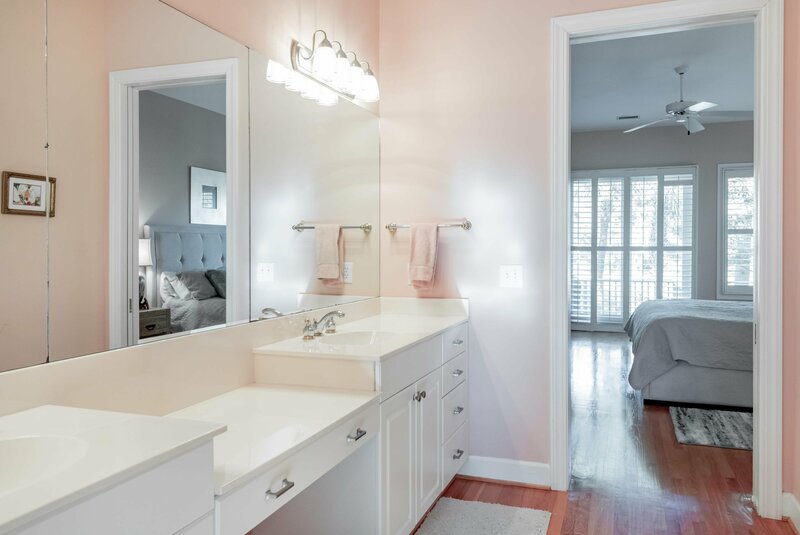 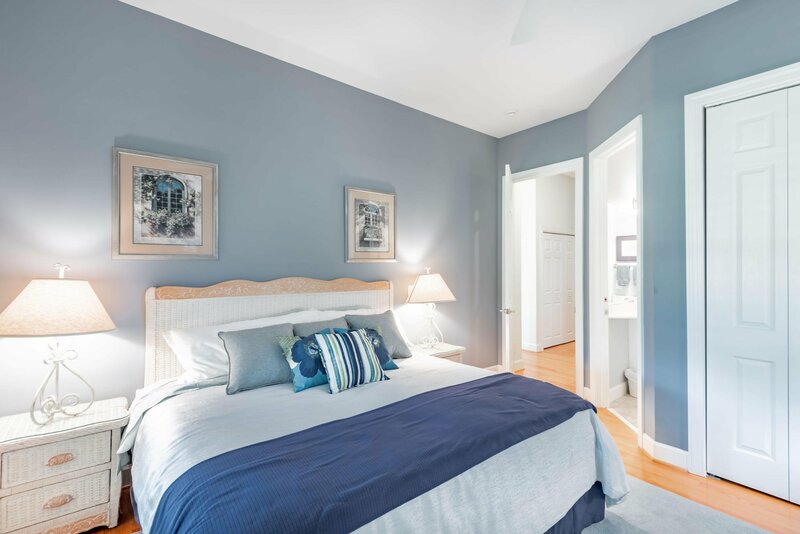 On the opposite side of the home, one guest suite has its own private bathroom, while two additional guest rooms share a Jack-and-Jill bathroom. 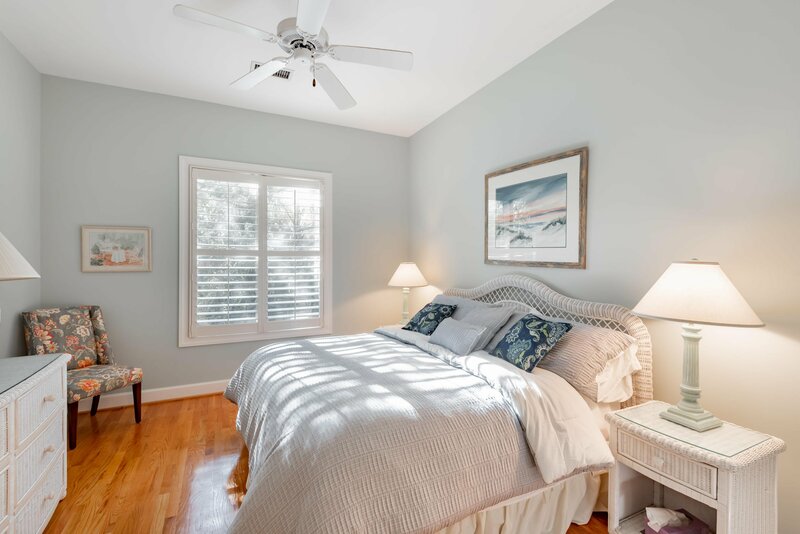 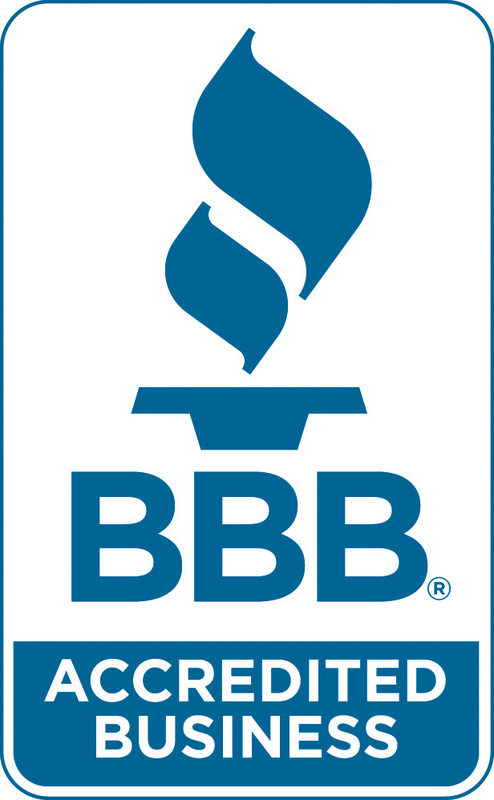 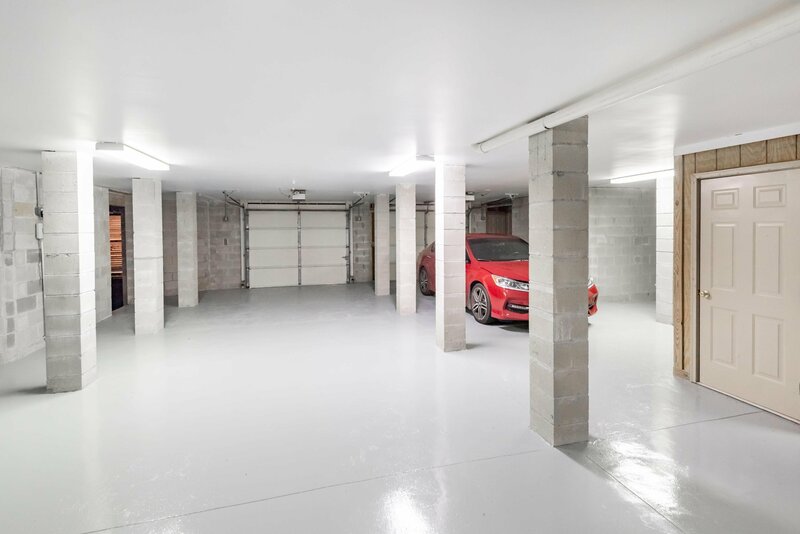 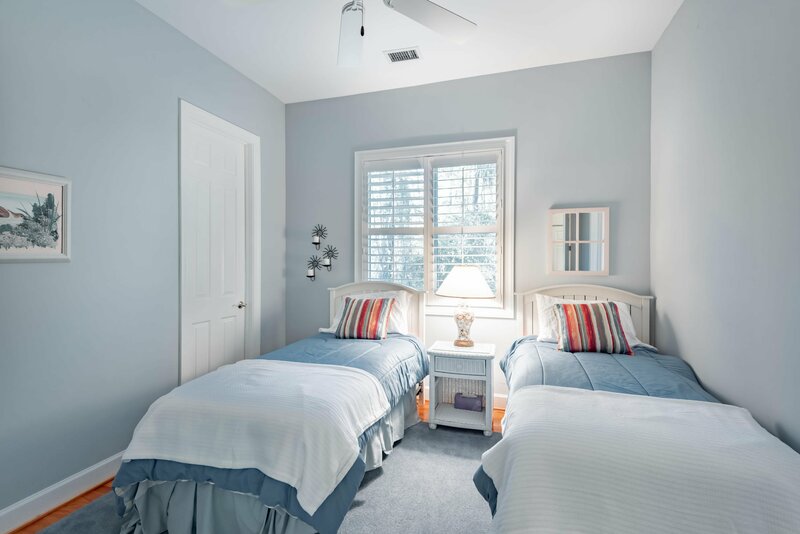 Additional highlights of the home include its location on a private street with limited through traffic, a new dehumidified room in the garage that was completed in July 2017 and a new asphalt shingle roof. 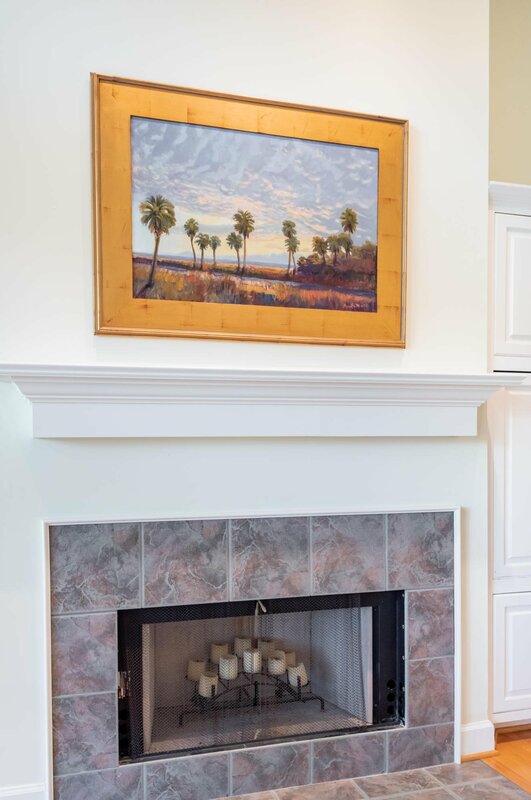 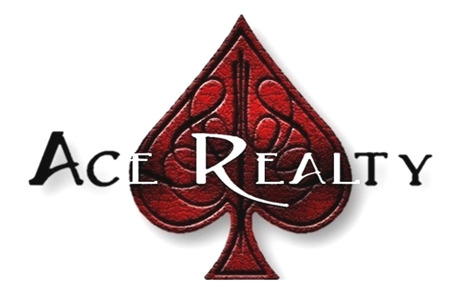 Sold furnished, less artwork and some personal exclusions.